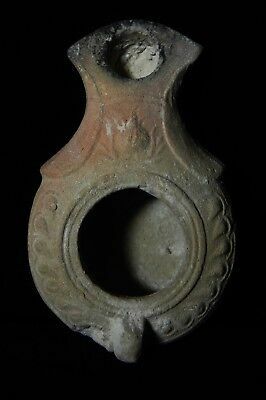 ZURQIEH -as3370- HOLY LAND, TIME OF CHRIST TERRACOTTA JUDAEAN OIL LAMP. Popularity - 282 views, 0.7 views per day, 414 days on eBay. Super high amount of views. 1 sold, 0 available. 282 views, 0.7 views per day, 414 days on eBay. Super high amount of views. 1 sold, 0 available.